Our Handgun Qualification License (HQL) training course is at least a four-hour block of instruction which includes classroom instruction on state firearm law, home firearm safety, handgun mechanisms and operation, and a component that requires the applicant demonstrate the ability to safely fire a handgun. 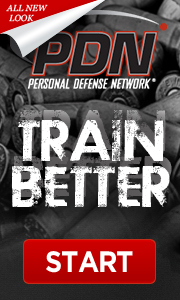 This course will not only fulfill you training requirement for the HQL, but will also help develop a good foundation for safe firearm handling and usage in a defensive context. Training is valid for 3 years and must be completed prior to submitting an application for a Handgun Qualification License. Below Info is right from the MD State Police Web Page! Click here to view the MD State Police Web Page! If you own a regulated firearm prior to October 1, 2013, you must apply for the Handgun Qualification License. However, you are exempt from the training component.What Is ItHandgun Qualification License training is a four-hour block of instruction which includes classroom instruction on state firearm law, home firearm safety, handgun mechanisms and operation, and a component that requires the applicant demonstrate the ability to safely fire a handgun.Approved HQL training courses are offered by Maryland State Police approved Qualified Handgun Instructors who have established an account through the Maryland State Police MyLicense/e-gov site. Training is valid for 3 years and must be completed prior to submitting an application for a Handgun Qualification License. If you own a regulated firearm prior to October 1, 2013, you must apply for the Handgun Qualification License. However, you are exempt from the training component. A person may not purchase, rent, or receive a handgun after October 1, 2013 unless they possess a valid Handgun Qualification License (HQL) issued by the Maryland State Police. 1. A Licensed Firearms Manufacturer. 2. Active law enforcement officer or a person retired in good standing from a law enforcement agency of the United States, the State, or a local law enforcement agency of the State. 3. A member or retired member of the armed forces of the United States or National Guard. 4. A person purchasing, renting or receiving an antique, curio or relic as defined in federal law or in determinations published by the Bureau of Alcohol, Tobacco, Firearms and Explosives. The above listed individuals must provide acceptable documentation or valid credentials to a Regulated Firearms Dealer prior to purchasing or transferring a regulated firearm. All other Maryland residents are required to possess and present a valid Handgun Qualification License prior to the purchase or transfer of a regulated firearm. 1. Have completed a Maryland State Police (MSP) approved certified firearms safety course. 2. Have completed a course of instruction and been issued a certificate of competency in firearms and hunter safety from the Maryland Department of Natural Resources. 3. Is currently a qualified handgun instructor. 4. Is an honorably discharged member of the armed forces of the United States or National Guard. 5. Is an employee of an armored car company who has a valid Wear and Carry Permit issued by MSP. 6. Lawfully owns a regulated firearm. If you own a regulated firearm prior to October 1, 2013, you are not required to complete the training and may apply for the Handgun Qualification License. Approved HQL training courses are offered by Maryland State Police approved Qualified Handgun Instructors who have established an account through the Maryland State Police MyLicense/e-gov site.